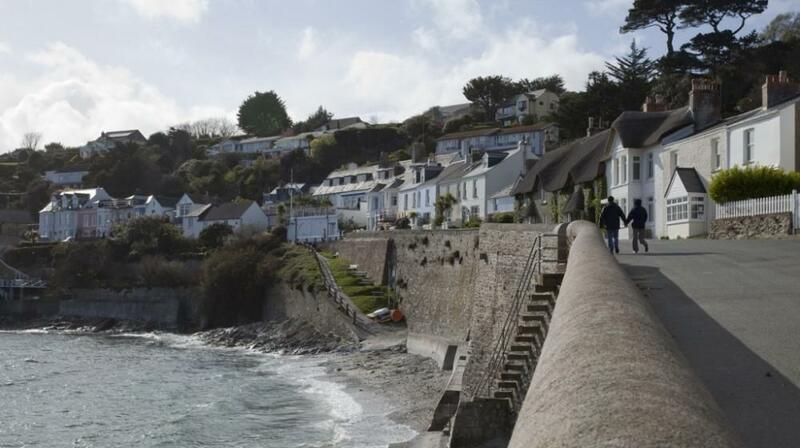 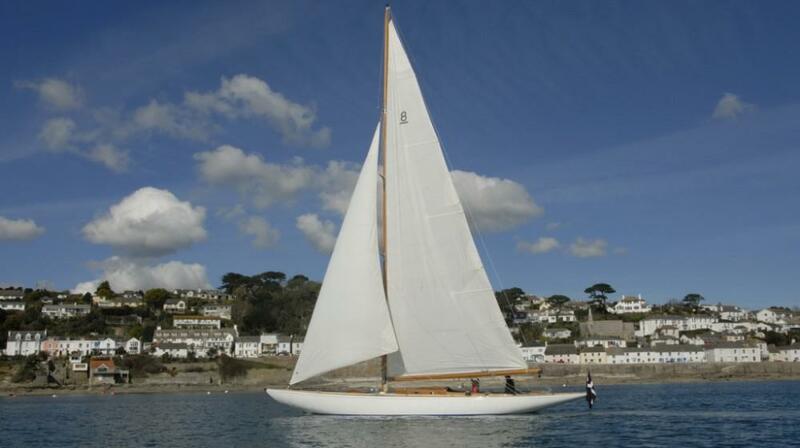 Cornwall is renowned for its rugged coastline, small harbours and fishing villages. 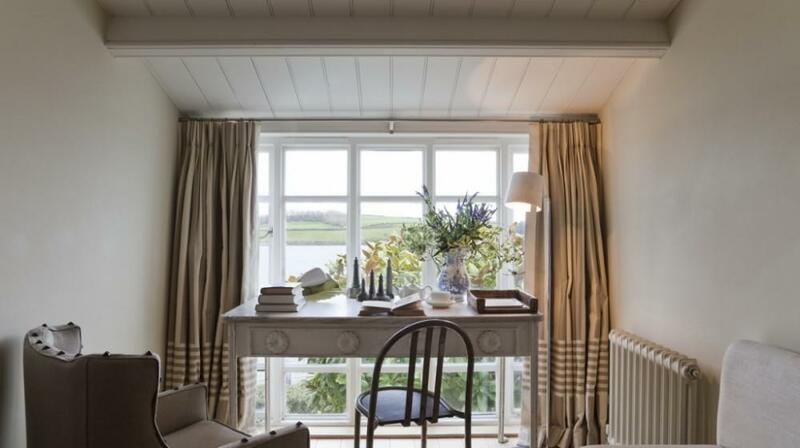 The Gulf Stream gives the county a warm and equable climate ideal for the famous sub tropical gardens, many of which can easily be visited from Tresanton. 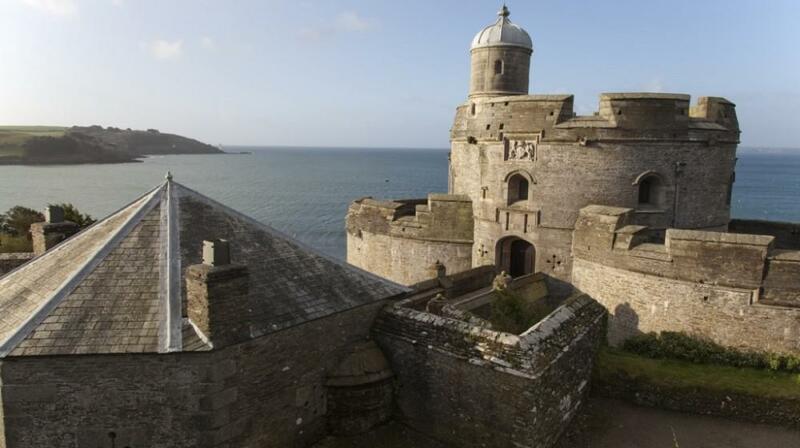 The particular light of Cornwall has always inspired artists, some of whom are exhibited at the Tate Gallery in St Ives, an hour away on the North Coast; also an hour away is St Michael’s Mount, a legendary castle rising out of the sea. 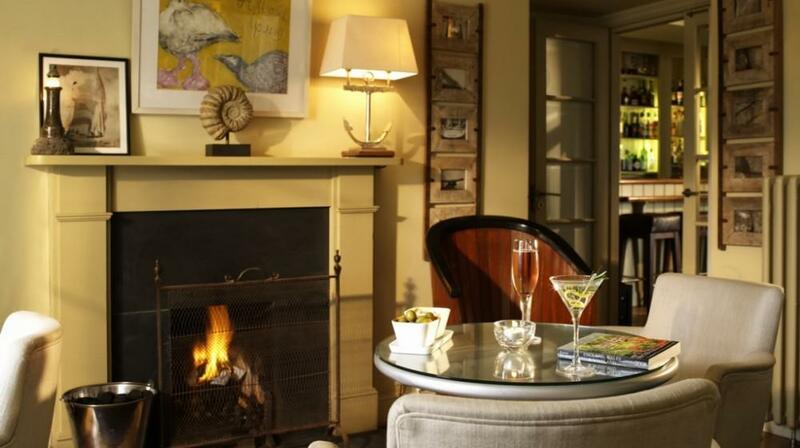 There are many other excursions, but the is no reason to go anywhere at all. 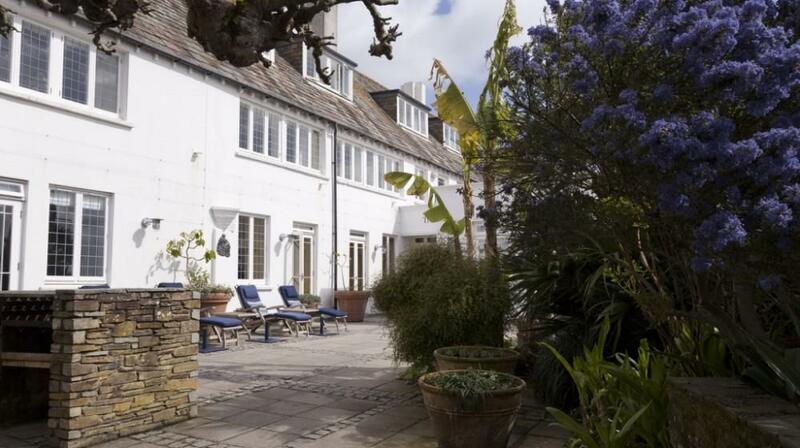 If you just want to sleep, read, walk and relax, St Mawes is the prefect place; a picturesque village at the tip of the untouched Roseland peninsula. 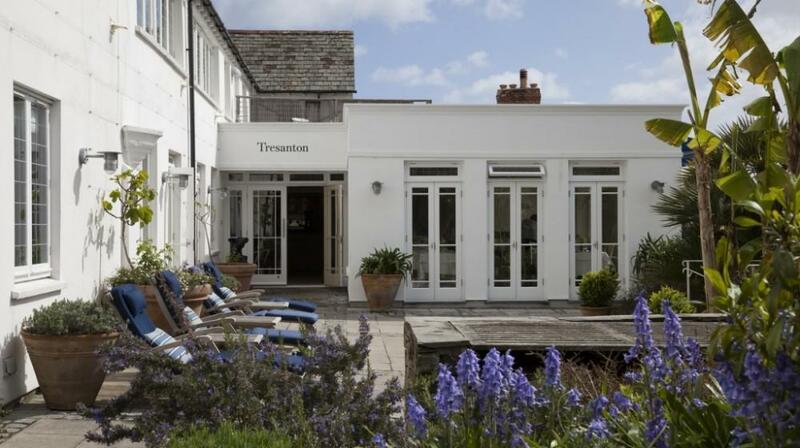 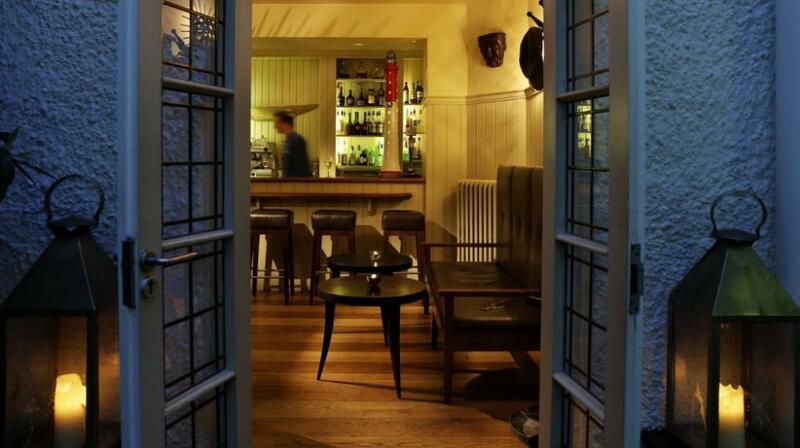 Tresanton has 31 rooms, some with their own terrace. 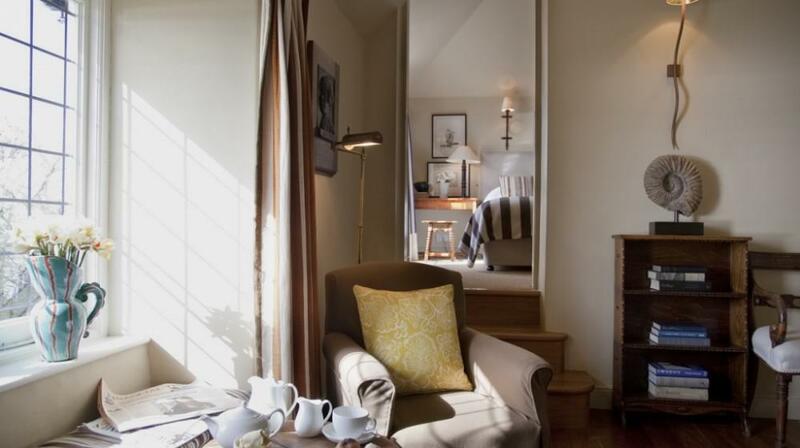 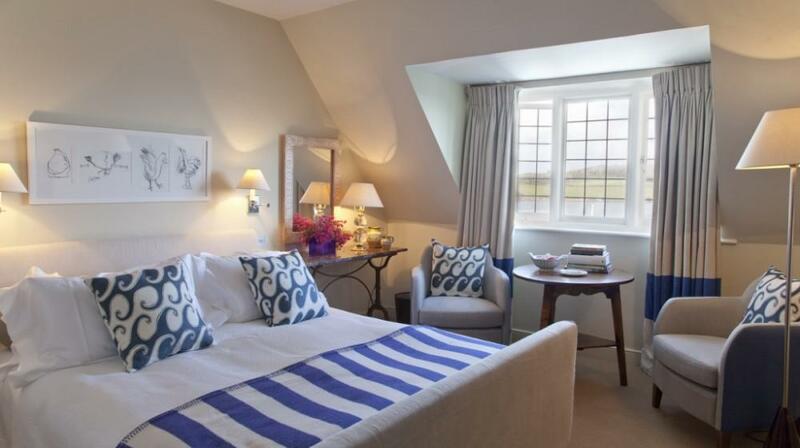 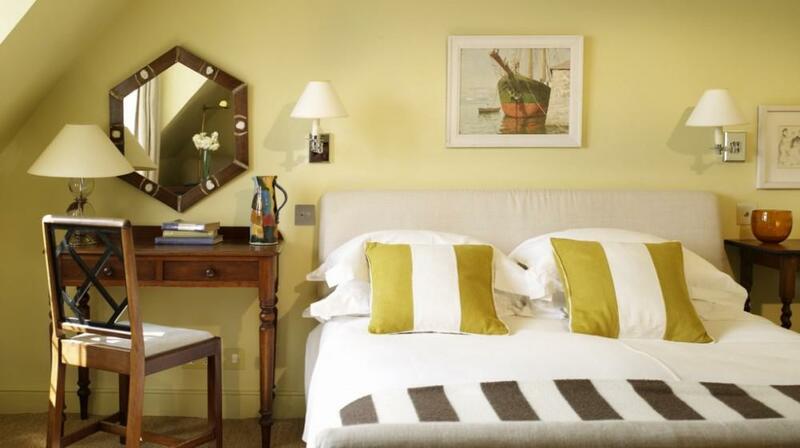 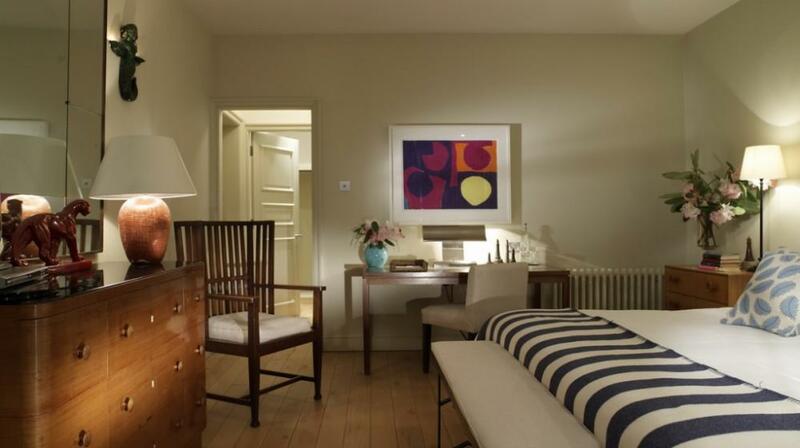 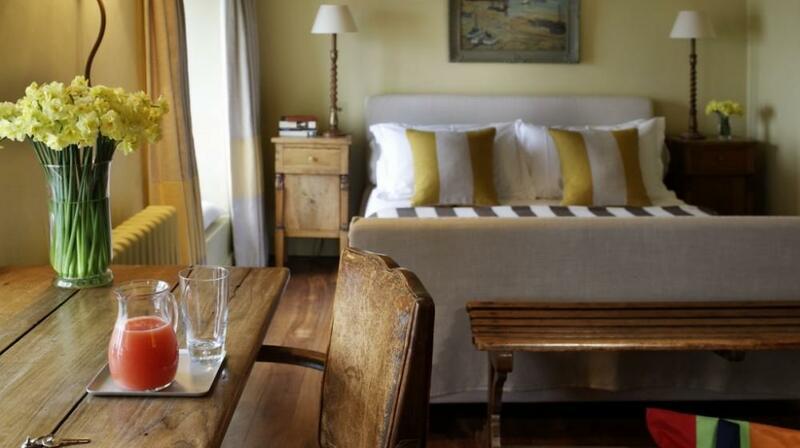 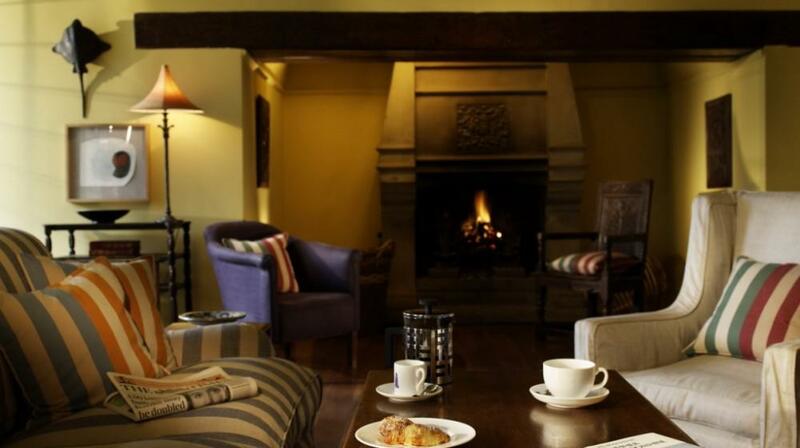 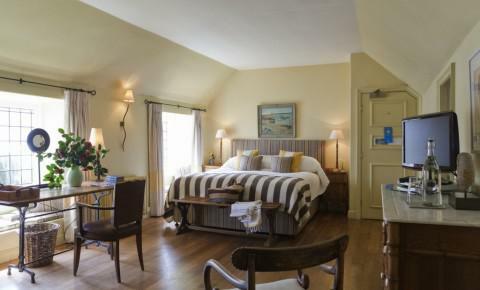 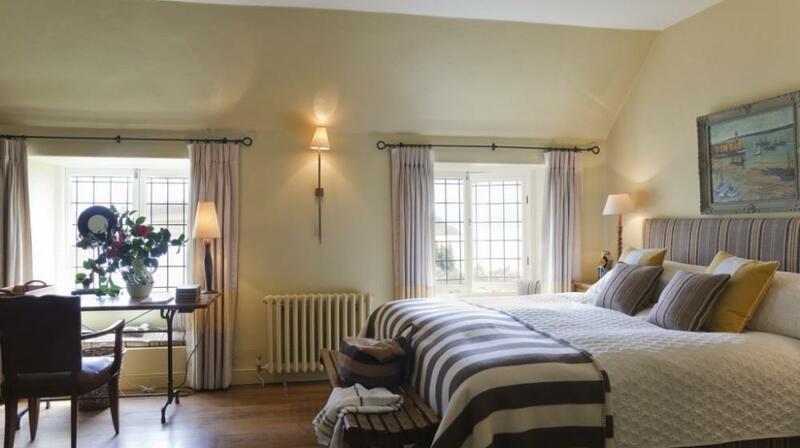 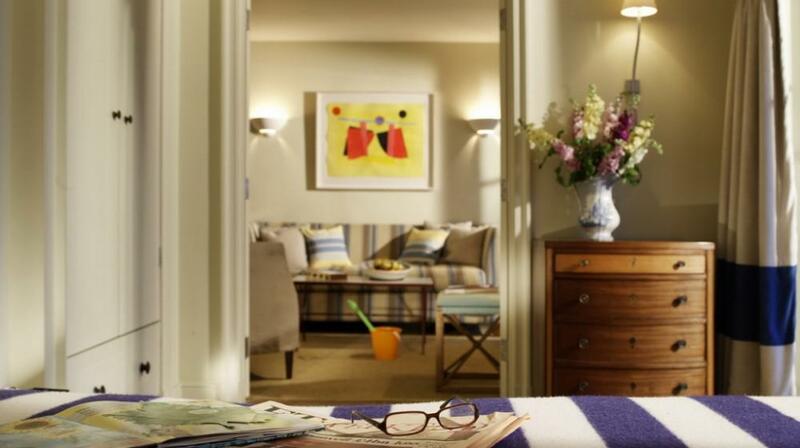 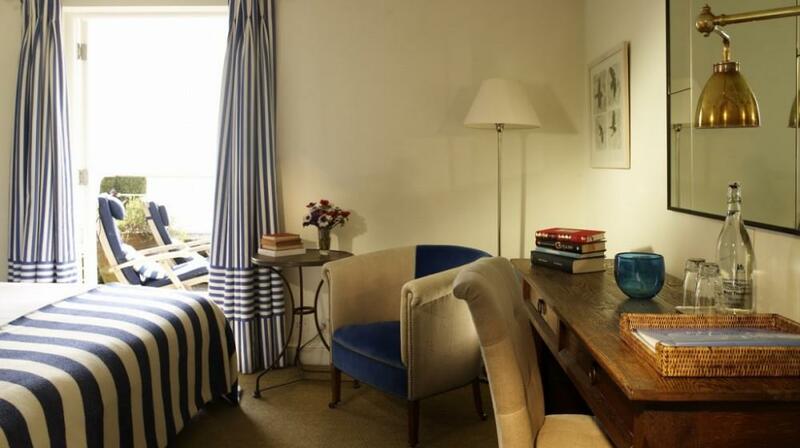 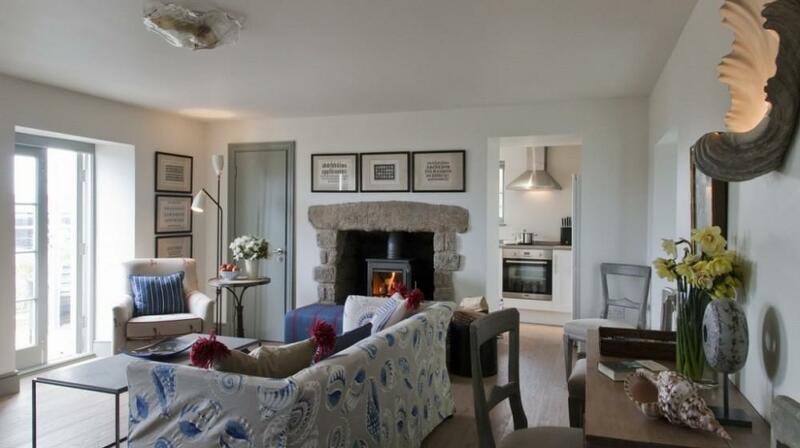 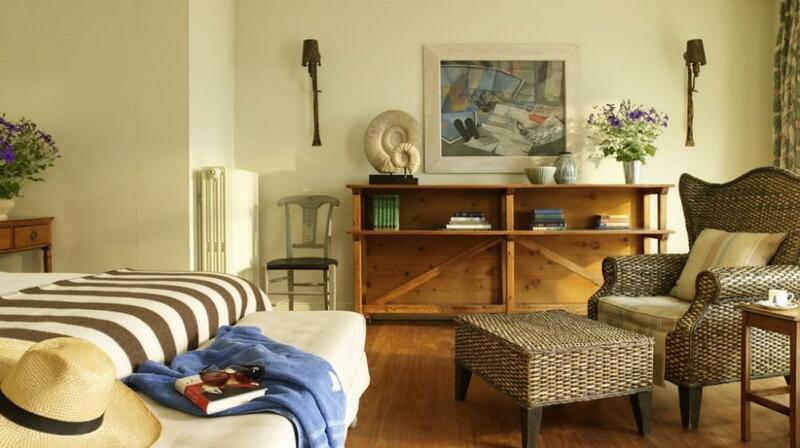 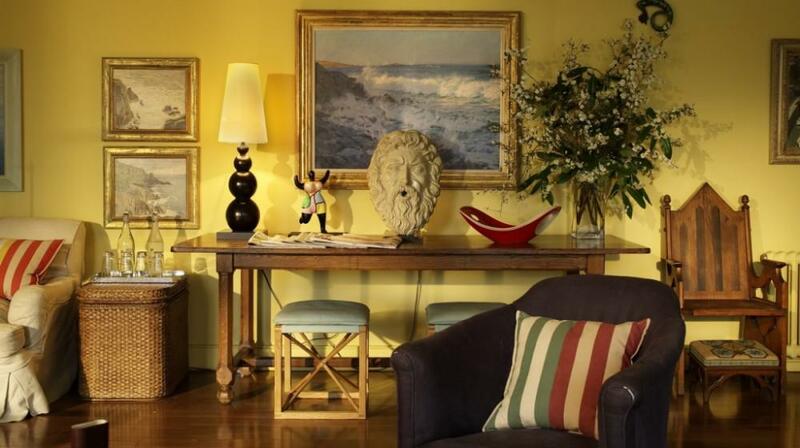 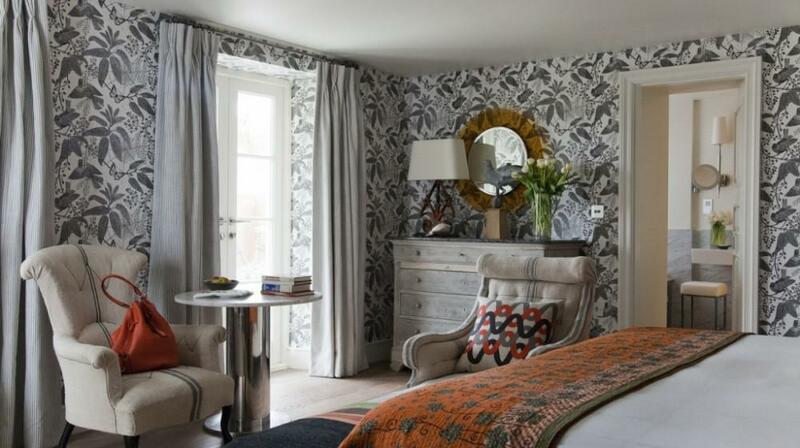 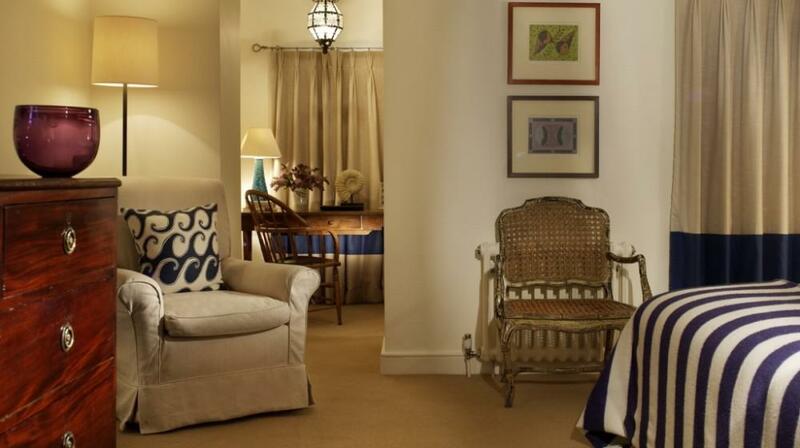 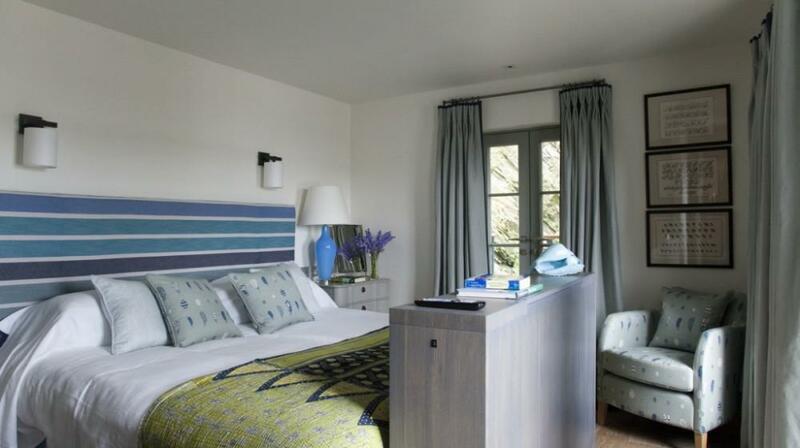 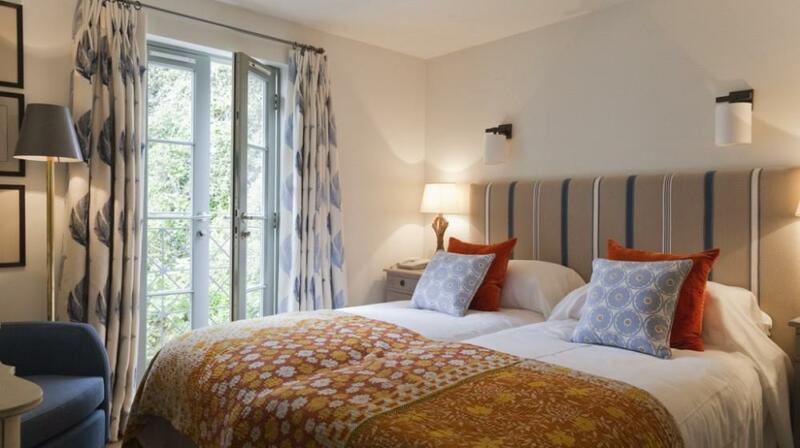 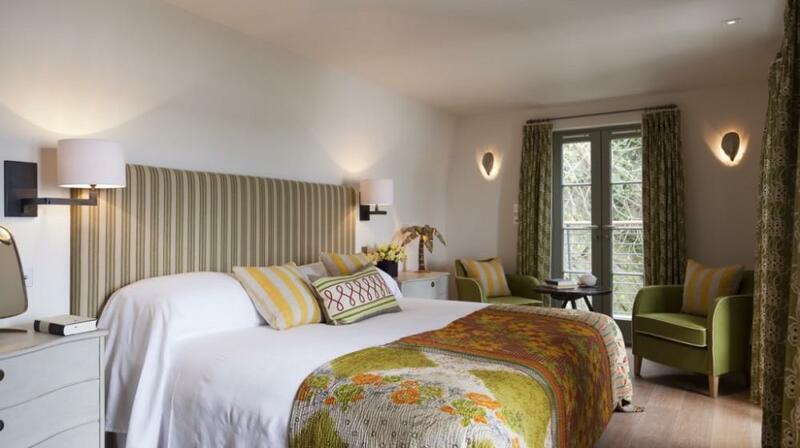 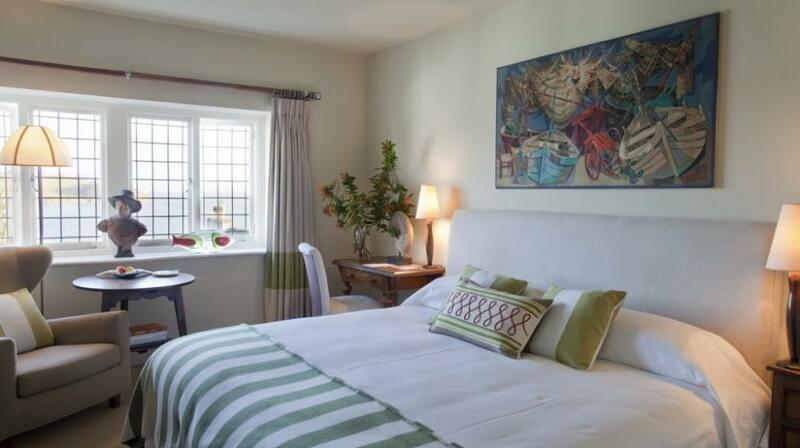 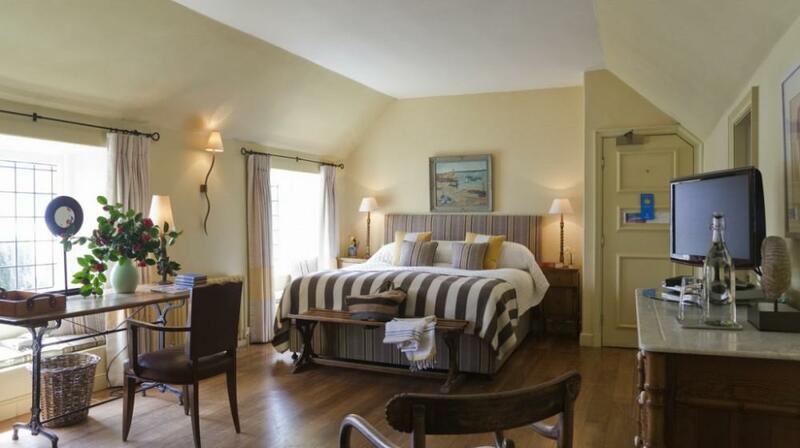 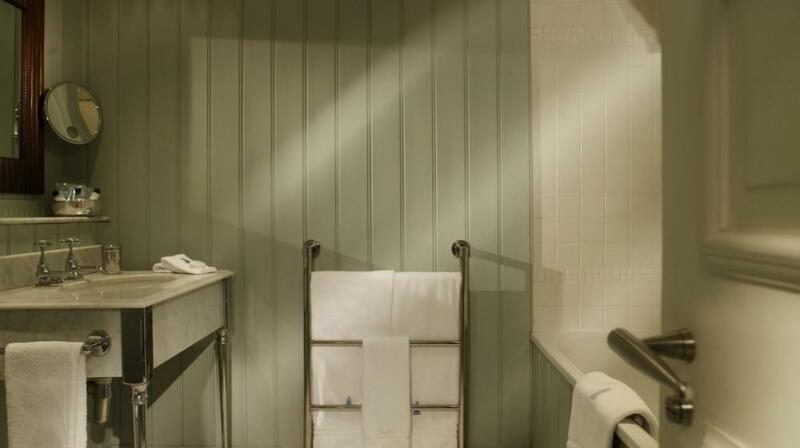 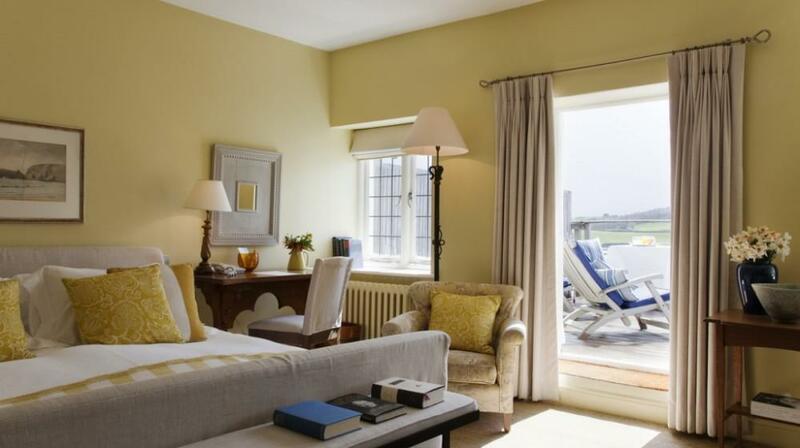 All rooms have magnificent sea views and all have been individually furnished with antiques and Cornish art. 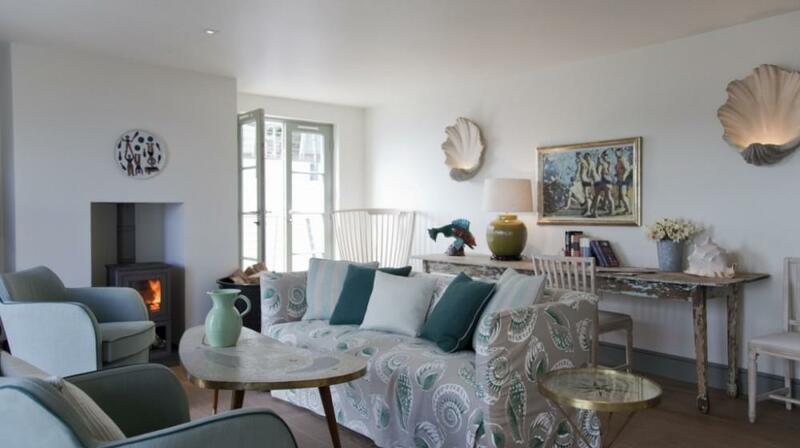 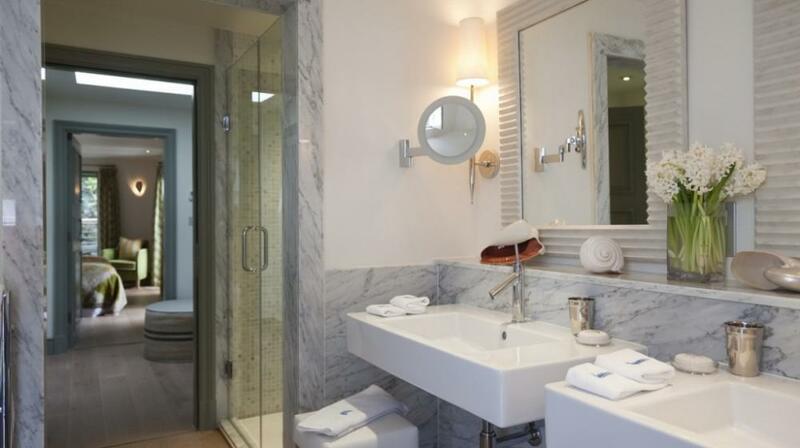 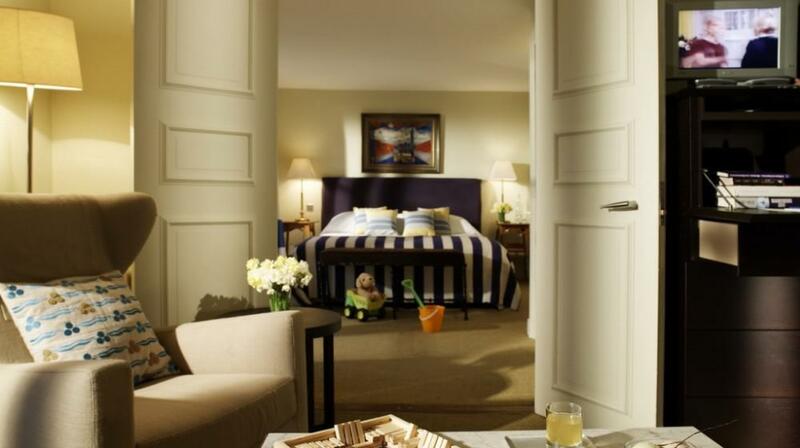 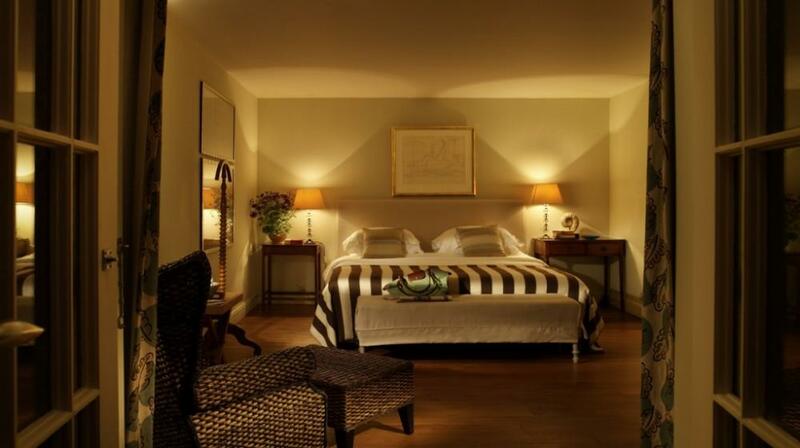 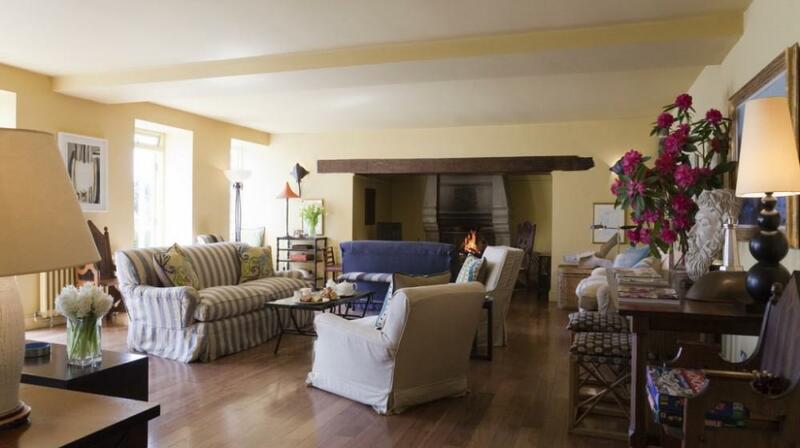 There are 3 family suites 2 of which can accommodate three children and 1 four children and each has its own terrace. 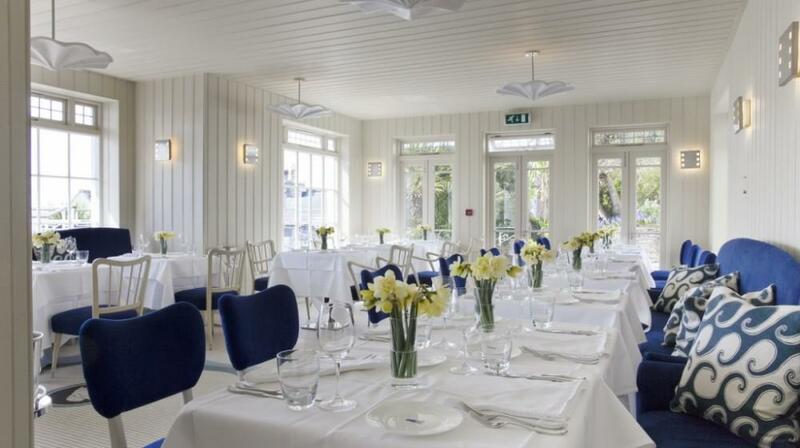 The restaurant is bright and airy with terraces overlooking the sea. 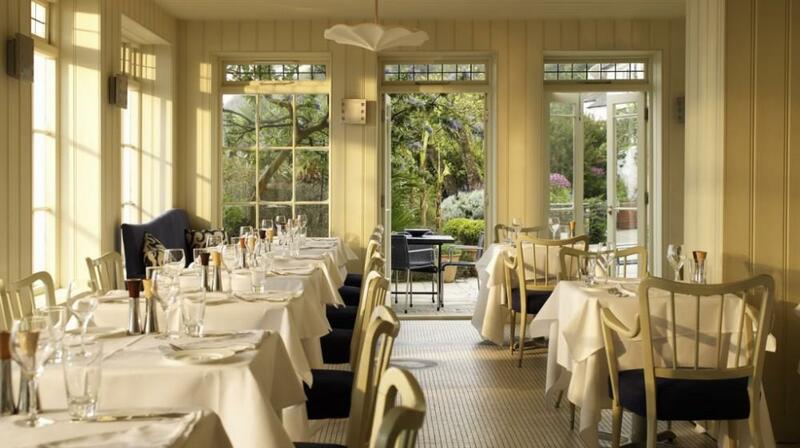 Lunch, drinks and candlelit dinners are served on the terraces in the summer and whenever the weather allows. 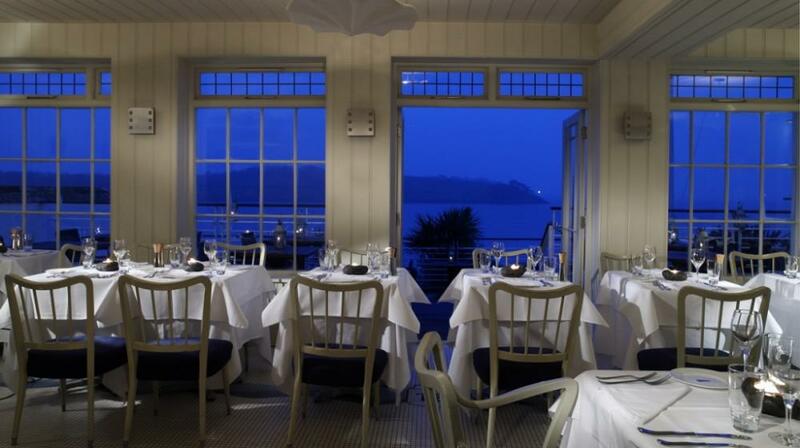 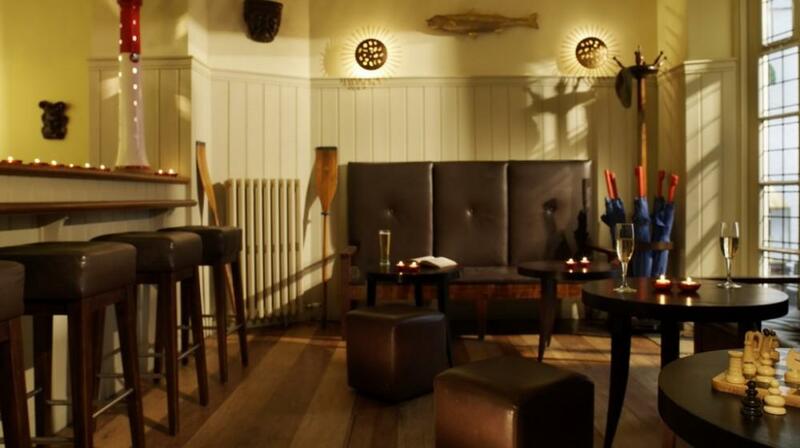 The freshest local produce is used to create our regularly changing menu, which specialises in fish, crustaceans and meat from a Cornish organic butcher. 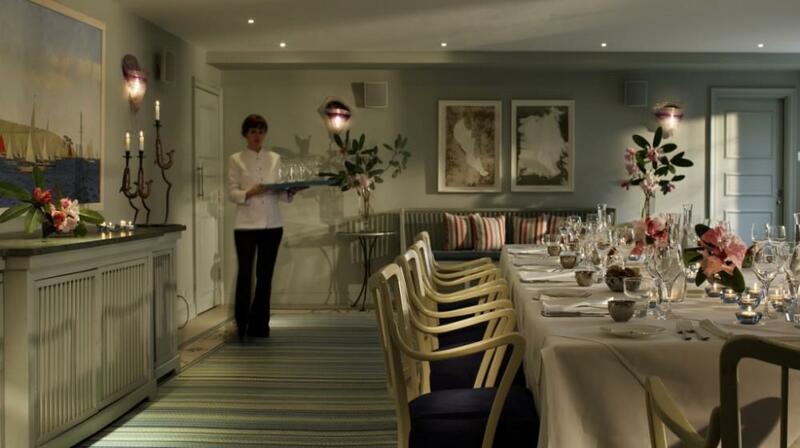 Ice creams are home-made and we also serve a wide selection of famous West Country cheese. 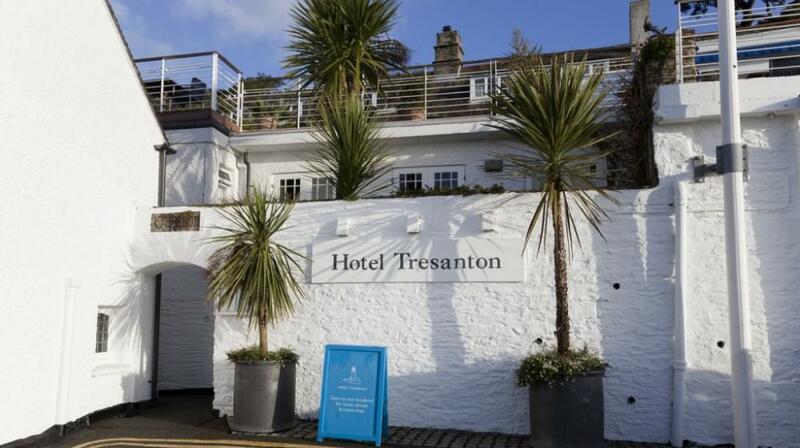 Tresanton has a varied and unusual wine list.